Here’s something fun for Saturday!! 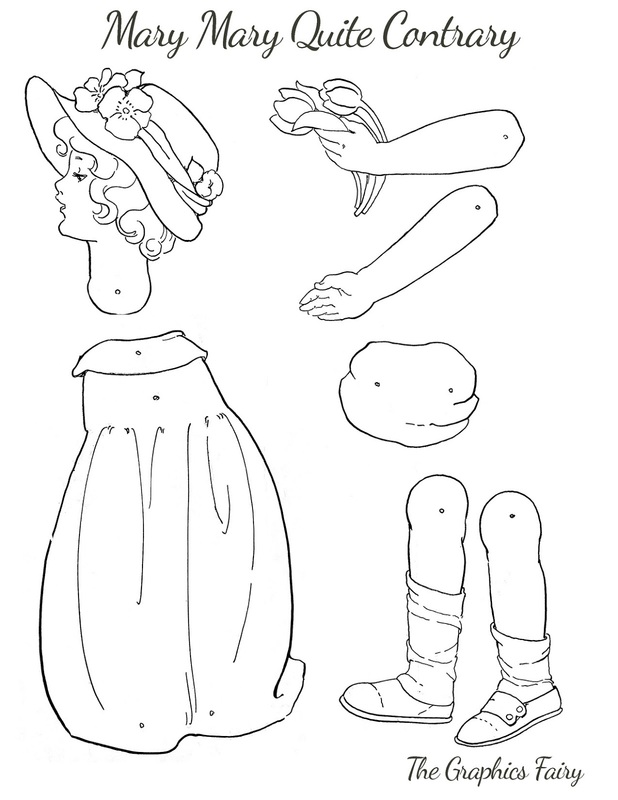 Today I’m offering this Printable Jointed Paper Doll from a 1920’s Jointed Toy Book! I’ve had this book for awhile now, but the pages were all scribbled up by some excited child, and it takes a whole lot of work to clean this up! I worked on this one for several hours last night, and I’m so glad it’s now a useable printable paper craft again! 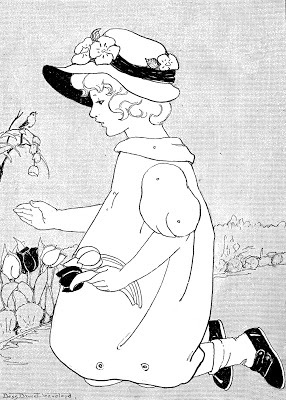 This little Doll is Mary, Mary, Quite Contrary, from the Old Nursery Rhyme. You can print this out, add some color, cut and then assemble as shown in the image at the top of the page. You will probably want to use some brads to attach everything, so that all the pieces will move. I recommend printing this on cardstock to give it a little more stability. I hope you enjoy this Vintage Printable! Oh, that’s so sweet! Just right for a little rainy Saturday fun! Thank you! Thanks for all the work you’ve done on this one Karen.. beautiful! I’m planning to use the jointed image on a little ATC..
How sweet! Thanks so much for sharing your paper doll. I love her…even if she is a little contrary! heehee! This is so adorable, thank you so much. Thank you! My granddaughters will love her. Thank u. She is soo cute. Thanks ladies!! I’m glad you enjoyed this little cutie! Thank you for these beautiful images! Oh, this is my favorite ever!!!! This is so very sweet, Karen! Thanks so much for sharing. thanks Karen, do girls still play with paper dolls. 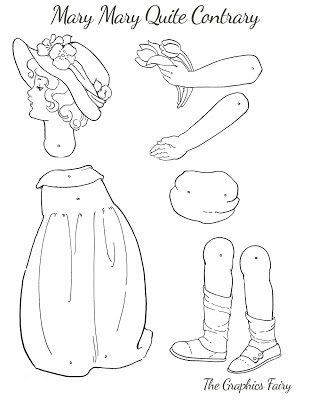 Think I’m going to print out a few of the paper doll to make it a paper tole picture. Such a cute picture and doll. Thank you for all the time and effort you put into preserving and sharing these graphics. I feel blest to have found your website. Thsank u so much for all your hard work to May available to us all. This will make such a cute care for a girl.